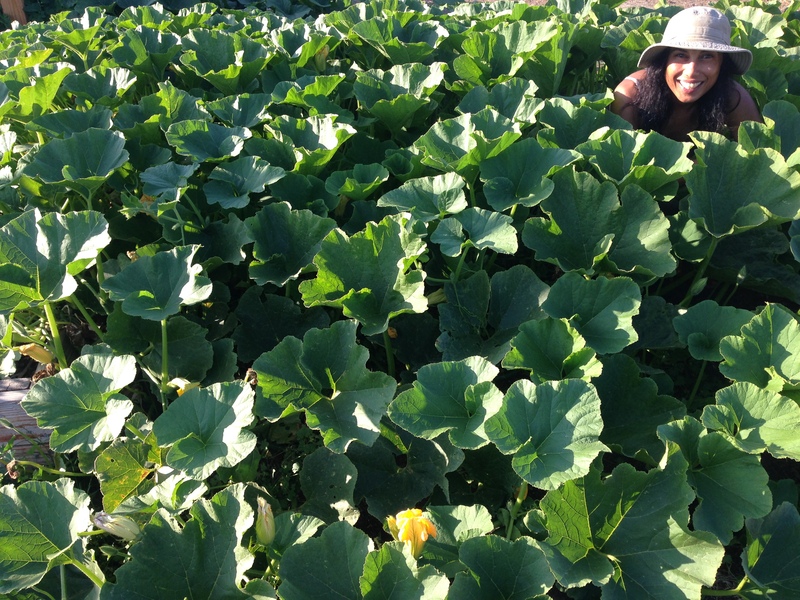 It’s Ali Baba watermelon time here at Lomita Farm! With lips smacking and mouth watering, R proudly did the honor of harvesting the first watermelon whopper of the season. The Ali Baba variety was such a huge hit last year, we planted more seeds in every extra nook and cranny we could find in our garden beds. It is an heirloom gem originating in Iraq and shared with Baker Creek Heirloom Seeds Company by an Iraqi seed collector. Melons are large, oblong shaped, and artistically marbled in light shades of green with elegantly spiraled vines and rounded cookie cutter leaves. The fruit is fantastically sweet, juicy and crisp with manageable seeds. Thin, hand sized slices make an ideal snack or outdoor BBQ appetizer. Ice blended Ali Baba infused vodka cocktail is one of my favorite ways of enjoying our watermelon, while R’s is simply refreshing watermelon juice. Place watermelon chunks in a blender and blend on the highest mode (liquify) until juiced thoroughly and seeds are crushed. Pour through a sieve over a large container to separate the seed pieces from the juice. Bottle up the juice and enjoy within the next couple of days. If you have the room and desire to start your own patch of watermelon next spring, I highly recommend this variety for its quality, taste, abundant yields, and easy growth.